Dinner Party: Wearing a shirt and jeans can be a bore – if the weather is freezing then layer up your suit or you can go for some cool jacket, cardigan or a blazer; three piece suit is not acceptable now. This style can also work on New Year’s party. For shades you can opt for brown, grey or navy. Make sure you keep the colors neutral so that it is easier for you to pull off your look elegantly. Out for Drinks: Well, going out for drinks is merely our best excuse, but if your tradition is all about this then you have to take care of your outfit too. Don’t be overdressed; dressing for this can be a tedious job, but it’s okay. Wear an Oxford shirt with smart denims and a leather jacket OR out of everything beige suit will work too. You need to carry it confidently. 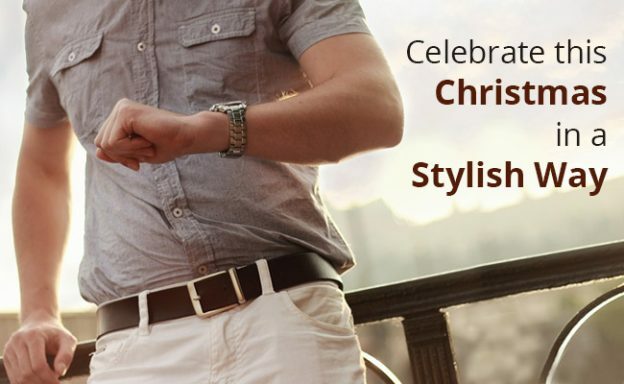 The next option can be chinos with a crisp white shirt and loafers. Let the girls drool on your look. Family Get-together:: Celebrating Christmas with family and friends is a fun and a loving gesture. If you are not a person who adores wearing jumper then abandon this option permanently. It’s not compulsory that your jumper must have jingle bells and reindeer; you are not a Santa Claus. It would be great, if you wear a light print jumper. But it’s okay if not jumper then Team up your look with an Oxford shirt, a blazer, jeans, and moccasins. On That Note:: So, mates celebrate this Christmas with a dude style and welcome good vibes!